Focus Area: Scholarship funds benefit both adults returning to or beginning either college or vocational training and graduating high school seniors seeking college education or vocational training. Recipients must live in Montgomery County Maryland’s subsidized rental housing. When Bernie Tetreault retired after 24 years of service as Executive Director of the Housing Opportunities Commission (HOC), he and some of his friends wanted to come up with a special way to celebrate and continue to give back to the community that he had served for so long. In 1995, they established the Bernie Education Fund, a 501(c)(3) non-profit entity later renamed The Bernie Scholarship Awards Program, which is now a component fund of the Greater Washington Community Foundation. The founding members were Jim Brodsky and Bernie Tetreault (see descriptions as Board members); Joyce Siegel, a former HOC Commissioner and then staff person and very instrumental in the creation of Scotland Community; the late Barbara Heyman, civil rights advocate and leader in the League of Women Voters; Rev. Lincoln Dring, longtime founder and Director of Community Ministry of Montgomery County. In the beginning, the program covered only those low-income families living in properties owned or managed by the Housing Opportunities Commission (HOC) with rental subsidies. In 2002 the population served was expanded, the name changed to The Bernie Scholarship Awards Program and a revised Mission Statement adopted to reflect the expansion of coverage. Scholarships are now offered to residents of HOC, Rockville Housing Enterprises, the Scotland Community and other low-income residents of properties managed by Edgewood Management, and Forest Park Apartments. Scholarships are given to high school students as they head toward college and adults as they pursue career training and education to prepare for employment or better employment. All are low-income residents of subsidized rental housing in Montgomery County, MD. The program continues to grow and has provided 461 scholarships with $536,200 of May 2017 by a committee of the whole and through several specific purpose committees, such as the Screening Committee and the Awards Event Committee. The corpus of the original Bernie Education Fund was $33,000 raised by the farewell event on the occasion of its namesake’s leaving as Executive Director of HOC in 1995. Through interest earnings, an annual year-end solicitation, anonymous gifts and other fundraising efforts, the awards have been made possible. The fund’s balance grew and now stands at approximately $100,000. There is a group of “Sustaining Donors” who have pledged a total of over $30,000 over the next two years. The Bernie Scholarship Awards Program also annually honors one or more community leaders who exemplify the principles and values of the program. Gaithersburg Mayor, the late Ed Bohre, Dr. Roscoe Nix, and Edgewood Management Company’s founder, Gene Ford, are among those who have been so recognized. In 2009 The Bernie Scholarship Awards Program became a component fund of the Community Foundation of the National Capital Region (CFNCR) through the Community Foundation of Montgomery County, a subset of the 501(c)(3) CFNCR. 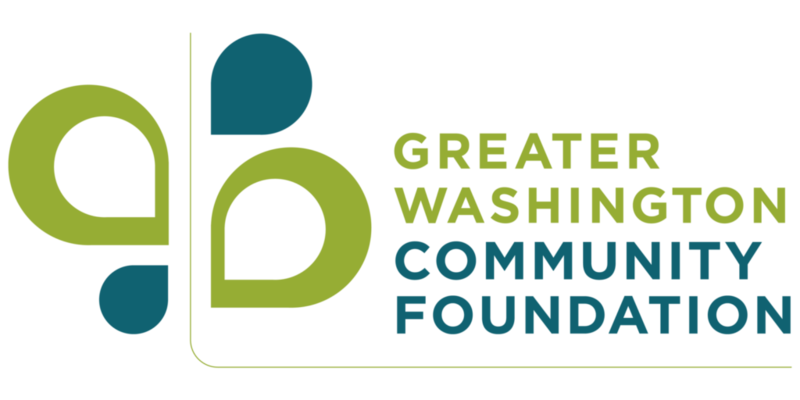 CFNCR has been renamed the Greater Washington Community Foundation (GWCF). All donations payable to The Bernie Scholarship Awards Program continue to be tax deductible. GWCF serves many worthwhile entities in Montgomery County. Rev. Lon Dring was the first Chair of the all-volunteer board followed by Judy Madden, then Supervisor of Guidance Counselors at MCPS, Pat Scissors former Resident Services Director at HOC, Dr. Rodney Redmond, Dean at Montgomery College, and current Chair Tocque Peyton. Our scholarship program has grown over each of the last 22 years. Now we have Board members from not only HOC but also from Montgomery College, Montgomery County Public Schools, Rockville Housing Enterprises, Edgewood Management and the community. Board members are volunteers who have settled into roles on standing committees that eliminate the need to “reinvent the wheel” each year as applications are screened, the awards event planned, grant proposals are written, and year-end funding solicitations are made. Seeing the need for even broader input to The Bernie Scholarship Awards Program, an Advisory Board has been formed of a broad range of community leaders committed to our work for the educational needs of our recipients. Low-income people have little disposable income and even things that many people take for granted–books, transportation, computers, cell phones, child care, transportation, rent, etc.–place extra burdens on their finances. The stories our recipients relate at the Annual Awards Ceremony inspire us to keep on keeping on. The Bernie Scholarship Awards Program continues to grow. It has awarded $536,200 for 461 scholarships to help 406 low-income scholars pursue their higher education goals. ​Studies have shown that education is a very effective weapon for poverty eradication. In 2013, only 6% of college graduates were living in poverty, compared to 22% of high school graduates now. According to a recent study by the Pew Research Center (February 11, 2014), millennial college graduates ages 25 to 32 who are working full-time earn more annually—about $17,500 more—than employed young adults holding only a high school diploma. The pay gap was significantly smaller in previous generations. College-educated millennials also are more likely to be employed full-time than their less-educated counterparts (89% vs. 82%) and significantly less likely to be unemployed (3.8% vs. 12.2%).